DISAPPOINTED FAN OF JAGGA JASOOS? THEN HERE IS THE MESSAGE FROM THE DIRECTOR. CHECK! 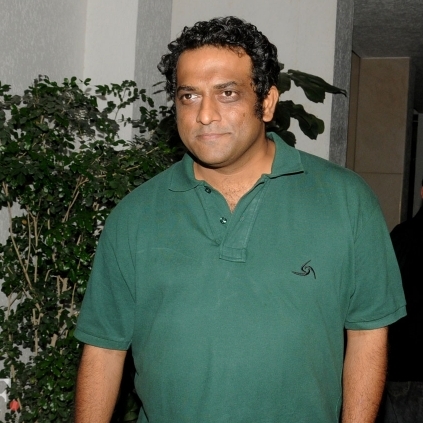 Director Anurag Basu finally opens up after series of Jagga Jasoos controversies. Soon after the release of the film, Rishi Kapoor made a harsh statement on the director and even called him irresponsible and blamed him for the film’s mixed reviews among the fans. Even Ranbir Kapoor blamed the director for the delay in the film's release. After all these criticisms, director Basu took to Twitter to talk about Jagga Jasoos. Anurag tweeted. 'Sorry, I was out of radar. Thank you so much for your love and appreciation for #JaggaJassos. It's like oxygen for me right now. Tight Hugs! And for those who disliked it, hugs for them too, because your rejection paves the way for my next and I promise, I'll try not to disappoint you,'. The director is yet to make an official announcement about his next project, but such statement is sure to tell us that Basu is confident about his next. Let's wait for a formal announcement on his next film and see what he has got this time to entertain the fans. Lucknow Central Movie: Farhan Akhtar creates a musical band inside the jail. Check Trailer! Akshara Haasan talks about why she said No to Mani Ratnam's film! People looking for online information on Anurag basu, Jagga Jasoos, Ranbir Kapoor will find this news story useful.